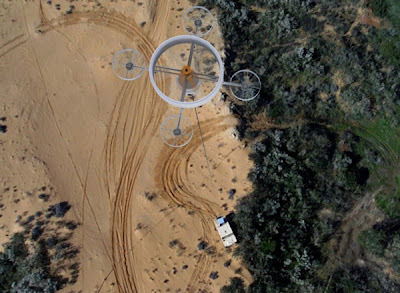 HoverMast is a Light weighted intelligence-gathering tethered flying machine Technology specially designed for small vehicles and The ‘HoverMast’ is developed by Israeli in Sky Sapience Company. HoverMast is a general purpose intelligence gathering craft that can carry up to 9 kilograms of equipment like radar systems or sensors and Data can be transmitted down to a nearby ground station or, via integrated data links. It attaches to a small vehicle like a car or truck by a combination power and data cable. The HoverMast is stored in a compact housing unit that can be mounted on any vehicle generally small vehicles in particular: cars, pick-up trucks, unmanned ground or surface vehicles (UGV/USV), ATVs, and small naval craft, making the system especially suited for Special Forces, border and port protection, and infantry missions. 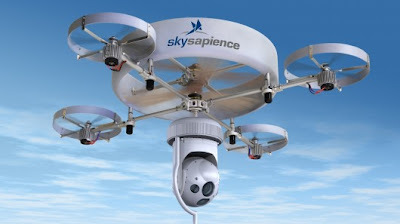 Is includes real time video cameras capable of both day and night-time. HoverMast can be landed and stowed in 10-15 seconds.